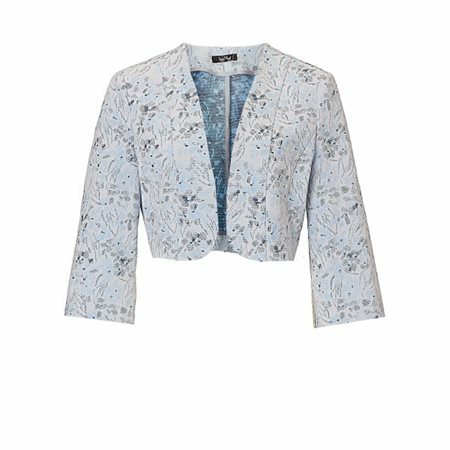 This pretty bolero by Vera mont has been created using a luxurious fabric of powder blue and sky blue with dashes of navy woven into it. The soft structured bolero has elegant elbow length sleeves and a rounded hemline. The stitching detail on this bolero is excellent and helps creates the perfect fit. Vera Mont has designed this bolero to compliment their stunning dress in the same fabric, this is also available at Jonzara.